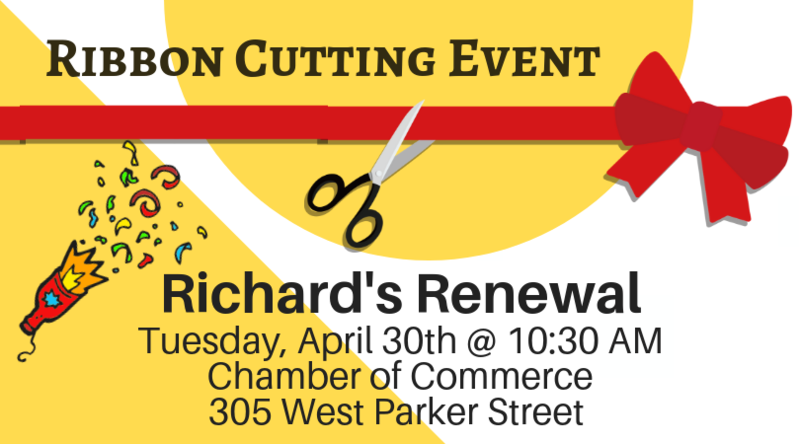 Please join us for a Ribbon Cutting Event for our new Chamber member, Richard's Renewal. Come on out and meet the owner, Richard Richardson and his staff, and learn more about the services they provide, such as, carpet cleaning, tile and grout, restoration of hardwood floors, upholstery cleaning & More ! Ribbon Cutting will be promptly at 10:30am. Reception to follow. Light refreshments will be served. See you there!